Happy Chinese New Year! The Chinese calendar is based off of the moon instead of the sun, making Chinese New Year on a different day than the calendar based on the sun. In Chinese culture, each year represents a different zodiac sign (one of twelve). This year is the year of the DRAGON! That means anyone born this year or twelve years ago or twenty-four years ago, etc... was born in the year of the Dragon. 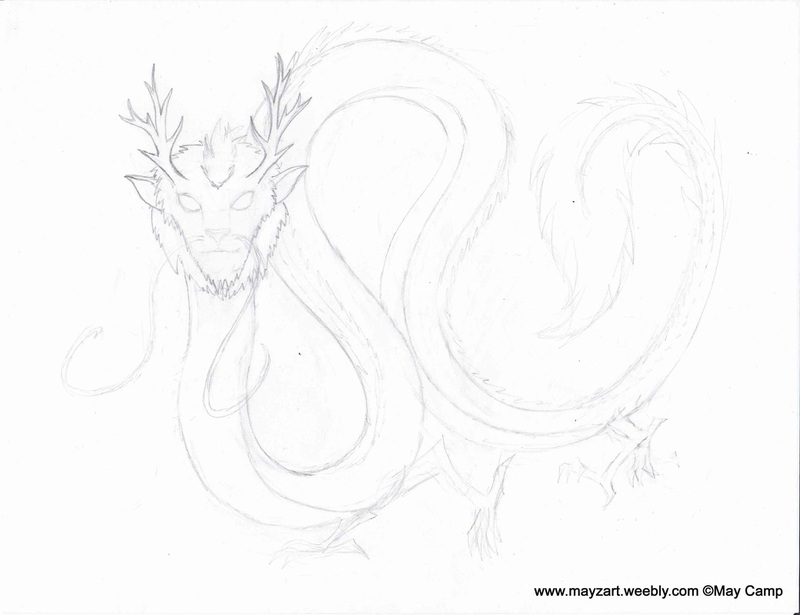 Since I have a fondness for Dragons (you might have been able to tell from most of my art content...) I have decided to draw a Chinese Dragon in honor of this year. One thing about Chinese dragons, is they are pretty much several animals put together into one amazing creature. 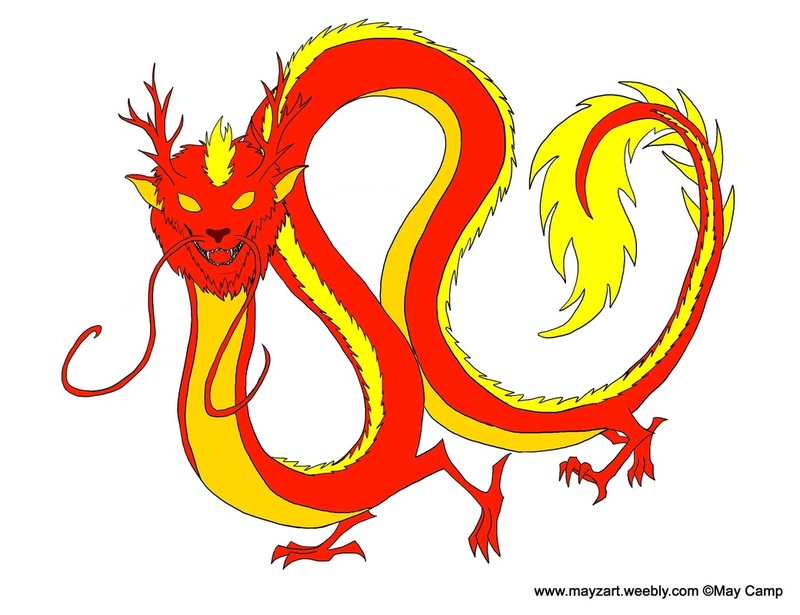 A Chinese Dragon (from what I gather) has the mouth and mane of a lion, the whiskers of a catfish, the ears of a cow, the antlers of a deer, the body of a snake, and the feet of a rooster. Since this is a large project that I plan to continue throughout the year, I'm going to post my project up. I did this Sketch on the left on Chinese New Year's Eve. 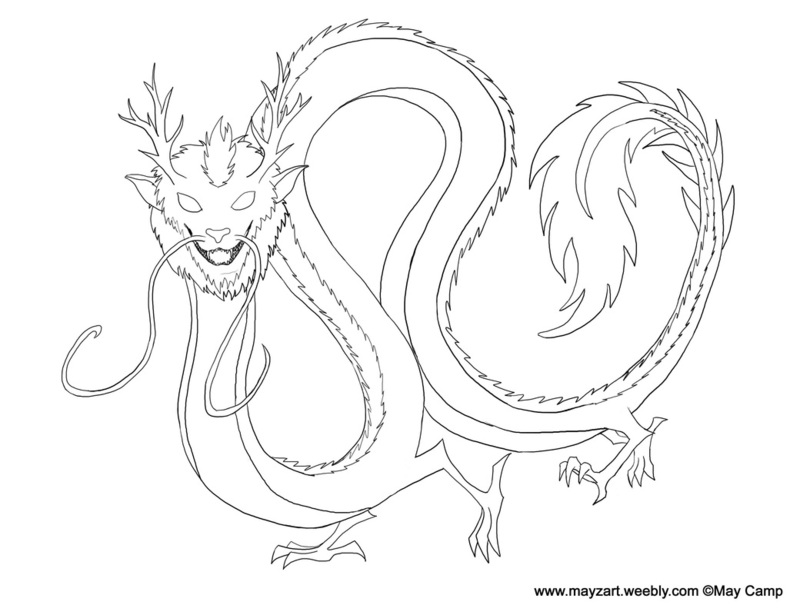 I did this Line Art on Chinese New Year's Eve. _I did this Coloring on Chinese New Year's Eve. _I did this Coloring (Without Lines) on Chinese New Year's Eve.